How many nebulas do you think are in this photo? Careful, the answer is not quite what it seems. 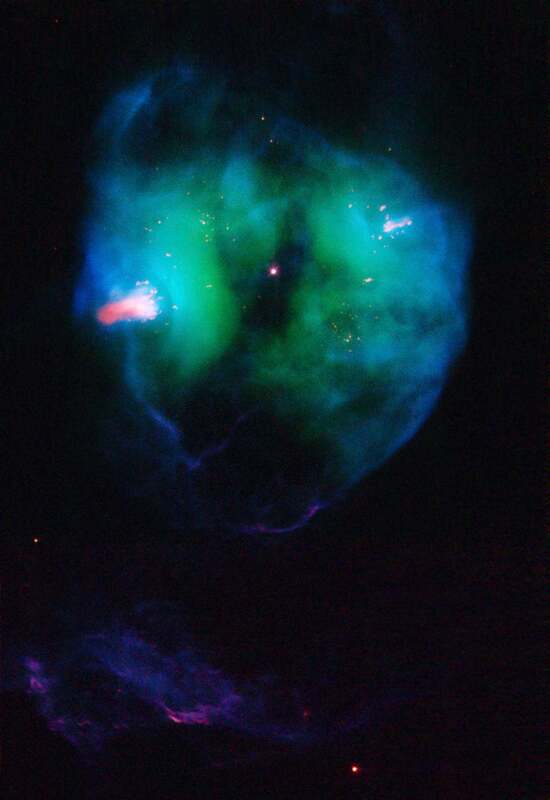 When the Hubble snagged this photo back in 2007 for the ESA, the answer seemed simple: There was the one object on the left, and there was the other on the right. Since they were so close, astronomers kept an eye on them, hoping to see some interstellar fireworks. What they saw instead was actually something more surprising: The two objects were actually part of the same whole nebula. It just had a long dark line running through its centre, making it look like two. Although that idea is now corrected, it's left a weird, historical imprint behind. Originally, one was named NGC 2371 and the other NGC 2372. With neither being quite correct, though, the official record now has it listed as NGC 2371/2, memorialising the period when we thought we saw a little more than we did.